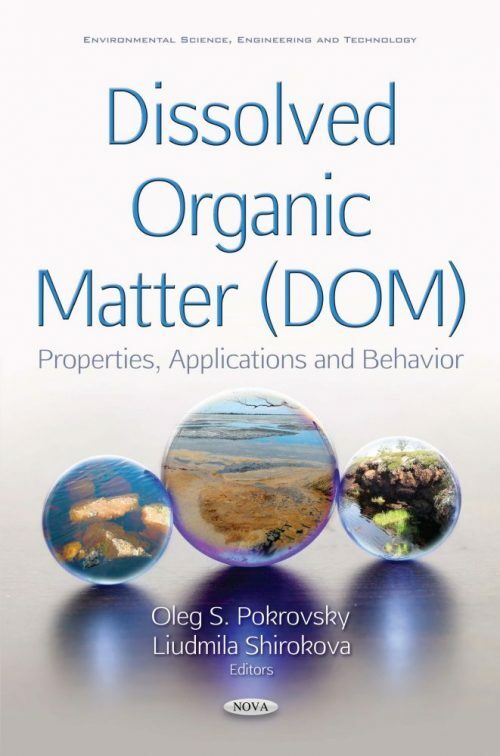 Dissolved Organic Matter (DOM) is a major factor controlling global biogeochemical cycles of carbon, macro- and micronutrients and toxic metals. It plays a pivotal role both in mobilization (chemical weathering), transport (organic complexes and colloids), biological uptake and deposition (microbial and photo-degradation) of a number of essential macro- (C, N, P) and micro- (Fe, Zn, Mn, Ni, Cu Co) nutrients. The interest of scientists to DOM is rapidly increasing. Between 1950 and 2017, more than 30,000 scientific papers on DOM were published (Web of Science® All Database Search); however, more than half of them were produced over the past nine years and over the last two and a half years, more than 5,400 papers were published. Such attention to DOM is clearly motivated by a combination of global climate change issues and the main role of DOM in CO2 exchange between the atmosphere and the surface waters. Despite such a large range of scientific problems concerning DOM properties, origins, and applications, there is a very strong geographical bias in terms of the amount of research devoted to various geographical regions of the world. The majority of information concerns temperate zones and boreal regions of Scandinavia and Northern America, with very little information available on Siberia and Russia. Thus, among the less than 30,000 scientific articles devoted to various aspects of DOM since 1950, only 150-200 of them are devoted to DOM in Russia or Siberia. This book is essentially oriented towards filling these gaps of our knowledge. Among thirteen chapters, eleven of them are devoted to various aspects of DOM in Russia and Siberia. Another important and still poorly characterized aspect of natural DOM is its colloidal status: four chapters of this book deal with the colloidal speciation of DOM in rivers and lakes. Given the breadth of physico-chemical, geochemical, biological, and geographical aspects of DOM covered in this book, it will be useful for a large audience of environmental scientists, limnologists, physico-chemists, soil and landscape scientists and biogeochemists. Given the breadth of physico-chemical, geochemical, biological, and geographical aspects of DOM covered in this book, it will be useful for large audience of environmental scientists, limnologists, physico-chemists, soil and landscape scientists and biogeochemists.